Not sure if you're still playing around with this but I just had a random thought -- the NES and SNES run off of modified 6502 chips. Would it be possible to program an emulator in Sphere if this got up and running? This is just a basic MOS 6502 emulator, the cpu itself with some stuff for drawing and taking input. For NES emulation, you also need to add code to handle palletes, sprite data, tile data and much more. And while the SNES's CPU is based on the 6502, that would take even more work. Either way, it definitely wouldn't be at all impossible, but this would end up being a very small fraction of the overall code. I will go ahead and say that for anything resembling accurate SNES emulation, JS (or really almost any non-native language) is just way too slow. The NES may be another matter, though. Making a new thread when this one is still on the first page seems kind of pointless, so I'll just resurrect this one. 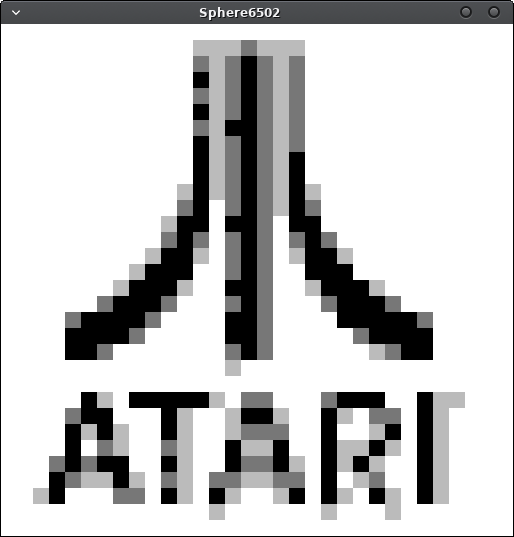 Like how I've resurrected the 6502asm.com -> miniSphere port! And it actually (sort of) works this time, though rendering is kind of sluggish. 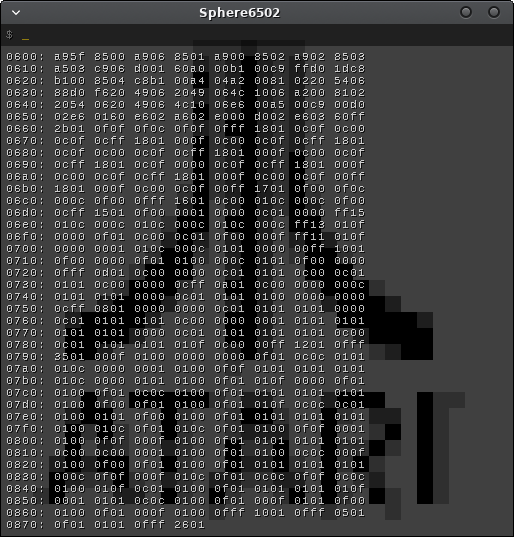 It also has a ROM hexdump function. I'm intrigued and looking forward to seeing more. Aaand done. Thanks for the help, Fat Cerberus and rhuan! This is a pretty awesome little assembler/emulator, me likey. Is there a specific device this is meant to emulate? This is very neat. I played a little bit of adventure.asm. I guess in a way this adds compatibility to a whole bunch of (simple) games to miniSphere all at once! Nice to see this running smoothly at high FPS now.